The Lord is raising His voice and shouting, "My children believe My Word!" Satan is screeching hysterically, "Don’t believe it, it’s not the Word!" And just why is the devil trying so fanatically trying to steal our faith for the salvation of the Jewish people? He knows exactly why… Do we? What does the word ‘enmity’ mean? A few synonyms for enmity are hostile, antipathy, antagonism and animosity. It is a deep seated / rooted dislike for someone or something. From the time of Seth, Adam’s son we can follow the line of Genealogy to Abraham. And to Seth was born a son called Enos, which is the general name for all men, and speaks the weakness, frailty, and misery of man's state. Then began men to call upon the name of the Lord - Doubtless God's name was called upon before, but now, 1. The worshippers of God began to stir up themselves to do more in religion than they had done; perhaps not more than had been done at first, but more than had been done since the defection of Cain. Now men began to worship God, not only in their closets and families, but in public and solemn assemblies. 2. The worshippers of God began to distinguish themselves: so the margin reads it. Then began men to be called by the name of the Lord, or, to call themselves by it. Now Cain and those that had deserted religion had built a city, and begun to declare for irreligion, and called themselves the sons of men. Those that adhered to God began to declare for him and his worship, and called themselves the sons of God. So in Genesis 10: 22 - 31 and in Genesis 11: 10 – 27 appears a list of Shem’s descendants who were blessed and because of the blessing Shem’s line, came Abraham and the entire Jewish Nation which would eventually conquer the land of Canaan through Joshua. The God of Shem - All blessings are included in this. This was the blessing conferred on Abraham and his seed, the God of heaven was not ashamed to be called their God, (Hebrews 11: 16). Shem is sufficiently recompensed for his respect to his father by this, that the Lord himself puts this honour upon him to be his God; which is a sufficient recompense for all our services and all our sufferings for His name. God planned to develop a nation of people that He would call His own. He called Abraham from the Godless, self-centred City of Ur, to a fertile region called Canaan, where a God-centred, moral nation could be established. Though small in dimension, the land of Canaan was the focal point for most of the History of Israel as well as the rise of Christianity. This small land given to one man, Abraham has had a tremendous impact on world history. God regards His people with Fatherly love. If only we Christians would have looked upon Israel with the same kindness as the Lord! We must remember that Israel is God’s first born son. Whereas a father tends to overlook the faults of another man’s child, he takes his son to task and disciplines him, being especially strict in dealing with his firstborn as a warning to the others. This we can see from God’s disciplinary measures with Israel, which are meant to serve as a deterrent example for us. For all the nations, Israel has been set as a sign that God hates and punishes sin. Did not our Lord and Master call us above all to love? But instead of looking upon Israel with eyes of love, we looked, and still look, upon her with censuring arrogance. It is hardly surprising that such a condemning attitude let us to pass an unfavourable judgement upon her. For is not Israel a people full of weaknesses, flaws and sins, as we and other peoples are? If we had looked upon Israel with eyes of love, we would have taken to heart her struggles and sufferings in the past, recalling the immensely difficult paths she had to tread through the desert. We would have asked ourselves whether we, as Christians, would have been capable of passing through such severe trials of faith as the people of Israel had to undergo. Israel, doomed to destruction, had to approach the Red Sea before the miracle happened. They had to wander, old people and children included, through the cruel wilderness under the glare of the burning desert sun, with nothing to eat of drink, facing ruin – a whole people on the brink of death. Who of us would have been so strong in faith, firmly believing only in a miracle of God? Who would not have been full of anxiety and uncertainty and have rebelled at so hard a lot? Who of us would have had the courage to set out for Canaan, the Promised Land, which was reported to be inhabited by a people of great stature, even giants living in fortified cities? Israel, it must be remembered, was an unarmed – shepherd people journeying through the wilderness with young and old in her midst. Considering that we often fail to trust in God’s help even in the little difficulties of every day life. How can we through stones at the allegedly, cowardly, disobedient and stiff-necked people of Israel? We do so because we are blind to the sin in our own hearts, and because we have never really taken the Word of God seriously. Certainly, a veil exists until the Jews recognize their Messiah, but is there not another veil hanging over our own eyes? Are we not often so blind that we read the clear words of the Holy Scripture about Israel’s election and yet fail to graft their meaning, and to act accordingly? Looked down upon by us for their Spiritual blindness, often reviled as blasphemers, religious Jews have a reverence for the Word of God, and His Law and do not profane it. With every fibre of his depraved, sinister being Satan despises the Jews. He hates them with a perfect hatred. Their total destruction is his goal and is the author of anti-Semitism. There is no other way to explain this venomous hostility that has been displayed by so many people groups throughout the centuries. And we must remember that anti-Semitism existed before Christianity began. Jerusalem and the Jewish people were on the devil’s hit list long before Yeshua (Jesus) came into the world. As we begin our journey in Genesis 1: 8 – 22, we can see that when Joseph and all of his brothers had died ending that entire generation, that their descendents the (Hebrews) Israelites had many children and grandchildren. In fact, they multiplied so greatly that they became extremely powerful and filled the land causing the new Pharaoh to fear that the people of Israel that now outnumbered the Egyptians. So he said to the Egyptians, "we must make a plan to keep them from multiplying and becoming stronger than we are." And so the Egyptians made the Israelites their slaves and brought terrible hardship and oppression upon them. But the more the Egyptians oppressed them, the more they multiplied and spread, and the more alarmed the Egyptians became. Then eventually Pharaoh gave the order to the Hebrew midwives to watch the Hebrew woman as they gave birth and kill every baby boy that was born! But because the midwives feared God more they disobeyed Pharaoh’s instructions, and because of their disobedience he then gave the order to throw every baby boy into the Nile River. Was this Pharaoh’s plan or was this Satan’s diabolical plan? Here we would like to stress that God was pleased with the midwives (Vs: 20 – 21) and blessed them with houses. It is a Biblical fact that God blesses those who bless Israel and the Jewish people. "We give news to the king that the Jews who came from you have come to us at Jerusalem; they are building up again that uncontrolled and evil town; the walls are complete and they are joining up the bases. The king may be certain that when the building of this town and its walls is complete, they will give no tax or payment in goods or forced payments, and in the end it will be a cause of loss to the kings. Now because we are responsible to the king, and it is not right for us to see the king's honour damaged, we have sent to give the king word of these things, So that search may be made in the book of the records of your fathers: and you will see in the book of the records that this town has been uncontrolled and a cause of trouble to kings and countries, and that there were outbursts against authority there in the past: for which reason the town was made waste. We give you word, that if the building of this town and its walls is made complete, there will be an end of your power in the country across the river. " Our journey continues to the Book of Esther and Haman’s attempt to destroy the Jews – Chapter 3 – 9. Why did Haman want to destroy all the Jews? Haman was an Agagite, a descendent of King Agar, the king of the Amalekites (1 Samuel 15: 20). The Amalekites were ancient enemies of Israel (Exodus 17: 6) (Deuteronomy 25: 17 – 19). Haman’s hatred was directed not only at Mordecai but at all the Jews. Haman’s death decree was against all Jews in the Persian Empire; thus, it would have included the land of Israel. If his decree had been carried out, all of God’s chosen people would have been exterminated, and God’s plan to send His Son Yeshua to earth as a Jew could have been ruined – but praise God, His plans cannot be stopped – Hallelujah! (You can also read more about this story in our Newsletter Study Article, "The End is in the Beginning" October 2008). We encourage you to read for yourself Psalm 83 and be amazed how true God’s Word is as this is exactly where we stand today! Consider the Crusades for Christ, the Church launched military expeditions aimed at emancipating (freeing) the Holy Land from the Muslims. The European Christians had become concerned when they heard that the pilgrims were being mistreated and even bared from Holy Sites. As a result large, often fanatical, "Christian" armies were organized, sometimes at the bidding of the Pope, sometimes by the will of the masses. A rabid zeal for the glory of the Church was fanned into flame – and both Muslim and Jewish (unbelievers) were marked. Three major Crusades were carried out, and each time the story was the same: As the impassioned armies marched through Europe and the Middle East, they committed atrocities against the Jews. On one occasion they set a Synagogue on fire and then marked around signing "Christ we adore thee" while the Jews were burning inside. This has left an indelible mark on the minds of the Jewish people: the Crusaders affixed crosses to their outer garments. To Jews who know their past, Crusade and Cross are words that hurt. History must never repeat itself again! In the days of Christopher Columbus and of Ferdinand and Isabella of Spain, the Catholic Church launched a terrible persecution against suspected heretics (A heretic is generally regarded as a person who hold religious beliefs that differ from the majority in a particular group or population). Thousands were imprisoned and tortured at the stake. But how many of us know that one particular "heresy" the Spanish Inquisition sought to uncover and destroy? There was a witch hunt against baptised Jews who maintained any tradition of Jewish ness! These Catholic Jews (called "Marranos" "Conversos" or "New Christians") violently forced to convert in the first place, were carefully watched to see if the were practicing "heresy." Heretical practices included failure to eat pork; failing to work on Saturday; failure to wear ones best clothes on Sunday; keeping the Biblical Feasts; observing any Jewish Customs of any kind; saying any Jewish prayers; preparing food according to Jewish law; associating with Non-Baptised Jews; and inter-marriage of children of Marrano families and with children of other Marrono families. Violators, or merely those frequently accused of being violators, would have their property confiscated. They would be subjected to harsh confinement and horrible torture, leading to mock trials, degradation and often death at the stake. If those sentenced to die would renounce their "heresies" and publicly confess the faith, then the Catholic Church would show them favour: They would be strangled and then put to the flame, burned dead instead of alive. Spain’s sins against the Jewish people are great. Although there were Church Inquisitions throughout Western and Central Europe from the 12th to the 19th Centuries, the Inquisitions in Spain took on unusually brutal proportions. It is estimated that 30,000 Marronos were burnt at the stake in Spanish Inquisitions from the 15th century until 1808. In addition to this in 1492 all Non-Baptised Jews were expelled from the country. Stripped of their possessions, and without any means to defend themselves, the sentence of mass expulsion against these poor souls was virtually a sentence of mass death. In this way the devil succeeded in making Christians prepare the ground for him. The stone that started to roll became an avalanche because no one checked its descent. And so it grew in our times to a degree far exceeding anything else that the world had witnessed. The hatred against the Jews and the consequent attempt at their annihilation, reached such a peak in our times indicates; that we are approaching the anti-Christian period, which is characterized by the hatred of God and all who belong to Him! Close your eyes and let somebody read this to you as we travel together! The soldiers have ordered you aboard and the train is ready to leave. You stand side by side with your family, wondering what will come next. You are crowded into a railway cattle car, packed with dozen of other adults and children. Where are they taking us now? Suddenly the door slams shut and there is no light, no food, no water and very little air. You are crowded together like cows and hour after hour, day after day the train rattles on for four endless nights and days your journey lasts. Your youngest sister stands pressed against you clutching her baby in her arms. After three days her laboured breathing turns into suffocating gasps. Soon she is a corpse. Your children are moaning, your spouse is half-crazed, hunger and thirst rage and burn; you ask yourself when will this nightmare end? But this is only the beginning. You are soon to arrive at your destination: a Nazi Extermination Camp. The only way out is death. Now the doors swing open. Soldiers shout commands, they yell at you, and they punch and kick you. Your sister’s stiff body falls to the ground but at least her baby is still alive… not for long! The little boy is carefully picked up by an officer… and smashed against the wall. Then two lines are formed, the healthy are herded to the line on the right and thankfully for now you are among the strong. But look once more at your family on the left… remember your old father’s eyes. Don’t forget your three year olds smile as you will never see them again. Soon a bullet will pierce the back of their necks and, dead or still alive, they will burn, human beings massacred and thrown into a huge flaming ditch. Before you know it you are herded into an unheated room with others and told to strip. Then a transformation takes place and you are no longer a name but a number. Your hair is shaved off – all of it! You receive your new identity: a number tattooed on your arm and you are handed an assortment of old ill fitting clothes. The previous owners will never need them again. Your mind is spinning, what is happening to you has already happened to hundreds upon hundreds just like you. After all this is the Holocaust and your crime? You are a Jew! WELCOME to AUSCHWITZ my friend! In this terrible persecution and extermination of the Jews the ultimate motive behind anti-Semitism becomes evident, and hatred of Jews can be seen for what it really is. Every Jew, by his very existence, points towards God, towards the election of Israel as a people for God’s own possession, singled out from among all other nations, particularly loved by God, who gave them special graces and promises and kept them from perishing throughout their thousands of years of history. Every Jew is a reminder that God is the Holy God, the God of the Ten Commandments. 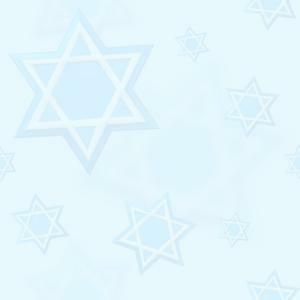 Every Jew is a reminder that God lives, that He pronounces blessings and curses and fulfils both. The Jew and his destiny are living proof of the existence of God, as even a rationalist like Frederick the Great was forced to acknowledge. Once challenged by the king to provide proof of the existence of God, the pious statesman Zieten replied, "Your majesty, the Jews!" at which Frederick the Great fell silent! The same spirit that continued through all atrocities continues on here in Israel. There is always the uncertainty of war looming on the horizon; HAMAS, HEZBULLAH, IRAN and SYRIA is just to mention a few of which all have the common goal – the total annihilation and destruction of the Jewish people. Almost every day Israel is on the news and stands accused for one thing or the other. This does not mean all Arabs are war-mongers and that Israel is totally innocent. But when dividing land let us not forget what Israel has done on behalf of their land. For centuries the land of Palestine (Name given to the land by the British) was largely a swamp-filled, untilled waste. But the Jewish pioneers drained the malaria infested swamps – often at the cost of their lives –and made the land into what it is today; an agricultural delight! We need to thank them for that too. No one wrestles with God like a Jew… Can we wrestle with Him for them too? Yeshua (Jesus) tells us to weep too. There is more bloodshed and destruction ahead for the Jewish people. There is trouble and pain in store for Jerusalem. Whether or not the Jewish people are guilty of sin, whether or not their sufferings are a result of divine judgements, God calls us to weep for them – and with them – just the same. May God bless you as you stand with us - for Israel!